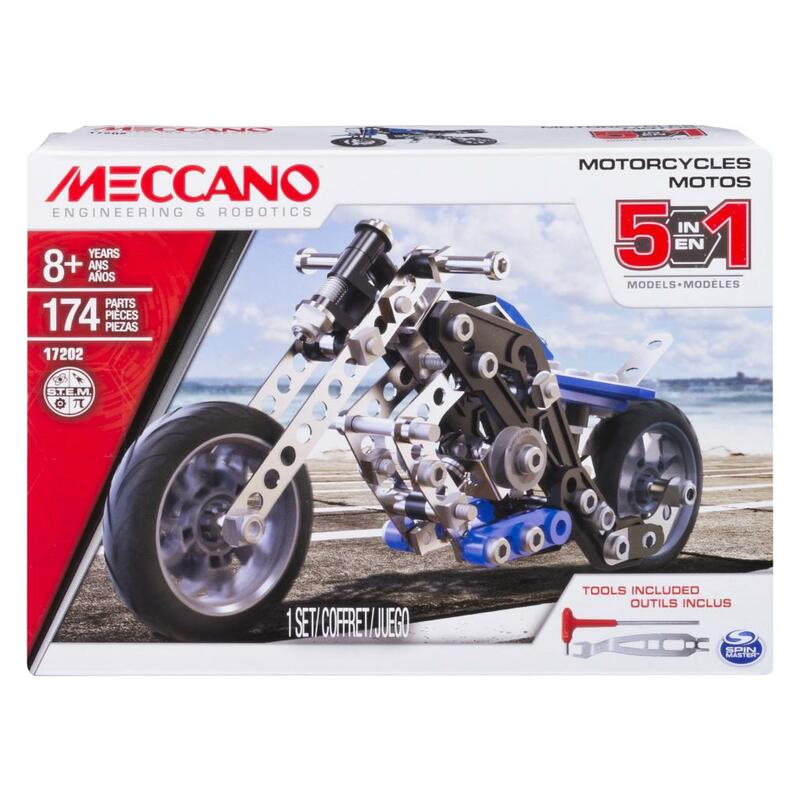 Kick start your imagination as you explore the world of real engineering with the Meccano 5-in-1 Model Motorcycles Set. 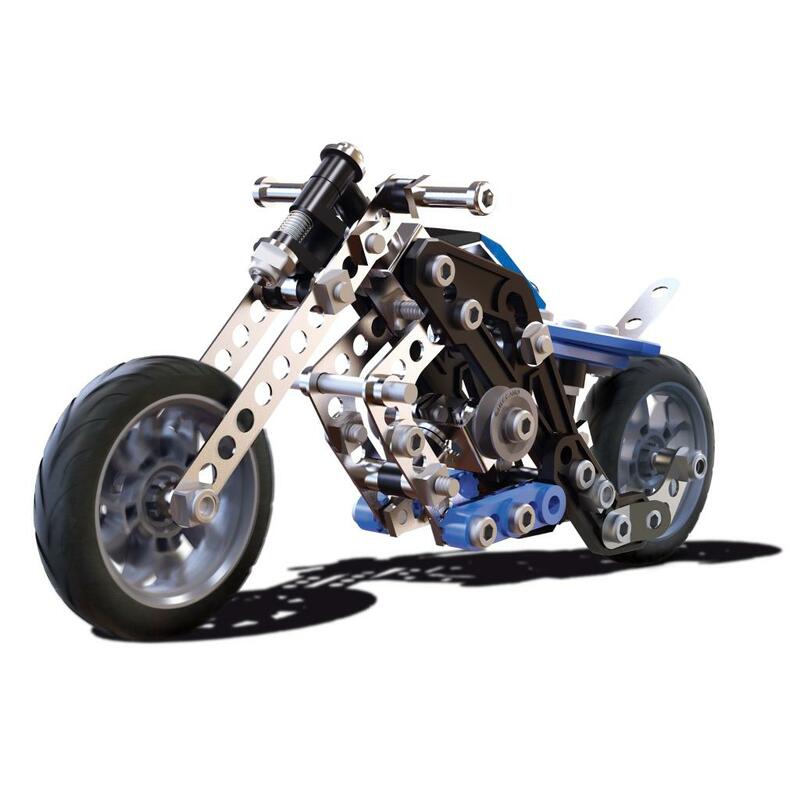 Construct a traditional motorcycle with a classic design. 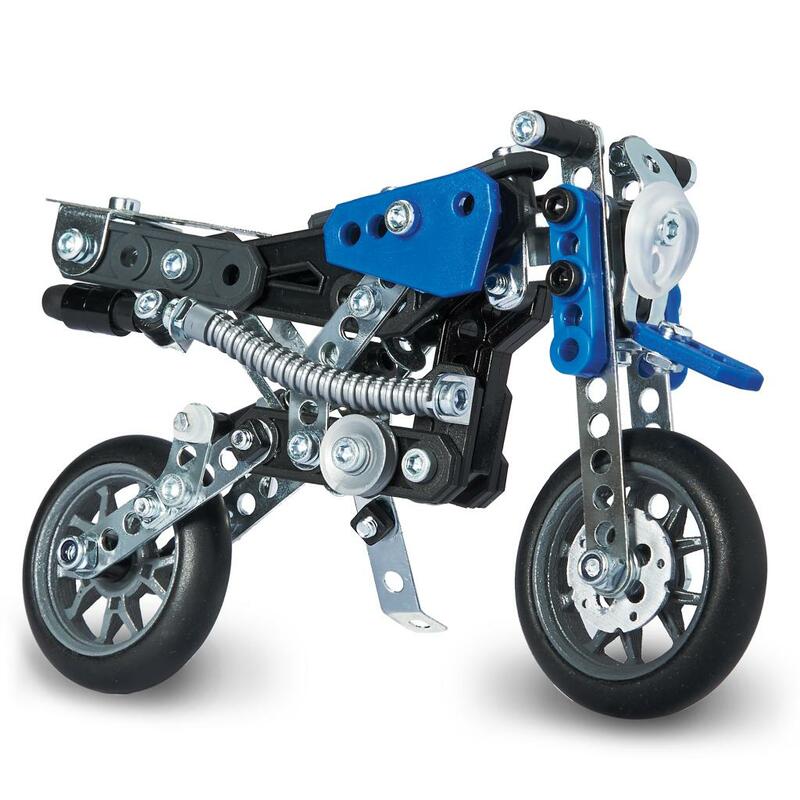 Once your ride is complete, you can take your bike out for a spin, or take it apart and build another style of motorcycle. 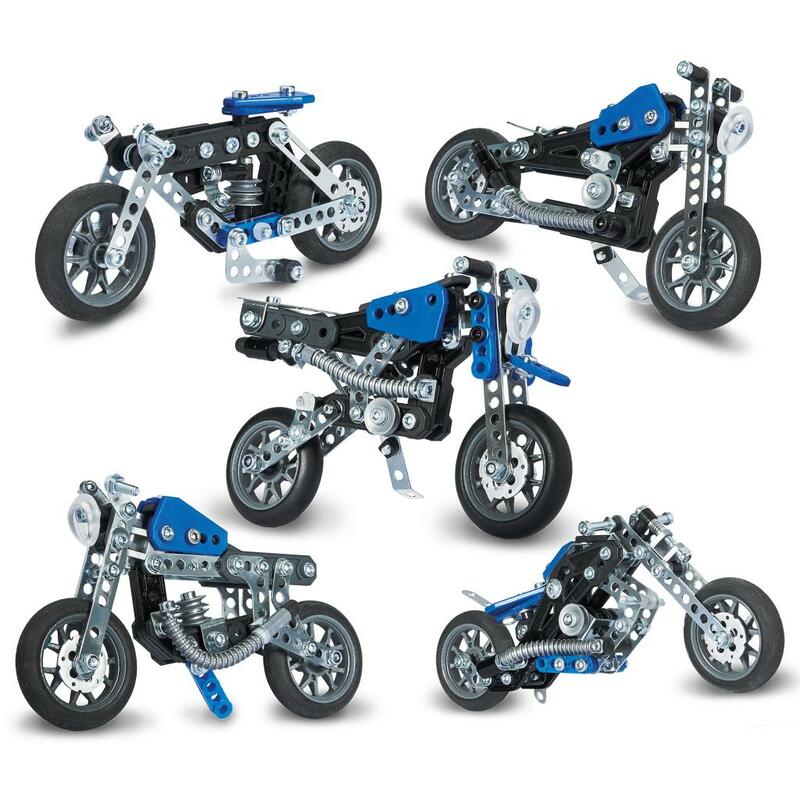 Follow the instructions to build 1 of 5 unique motorcycles. 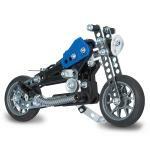 After that it’s up to you and your imagination to create a motorcycle of your own design! 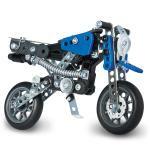 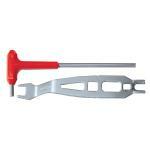 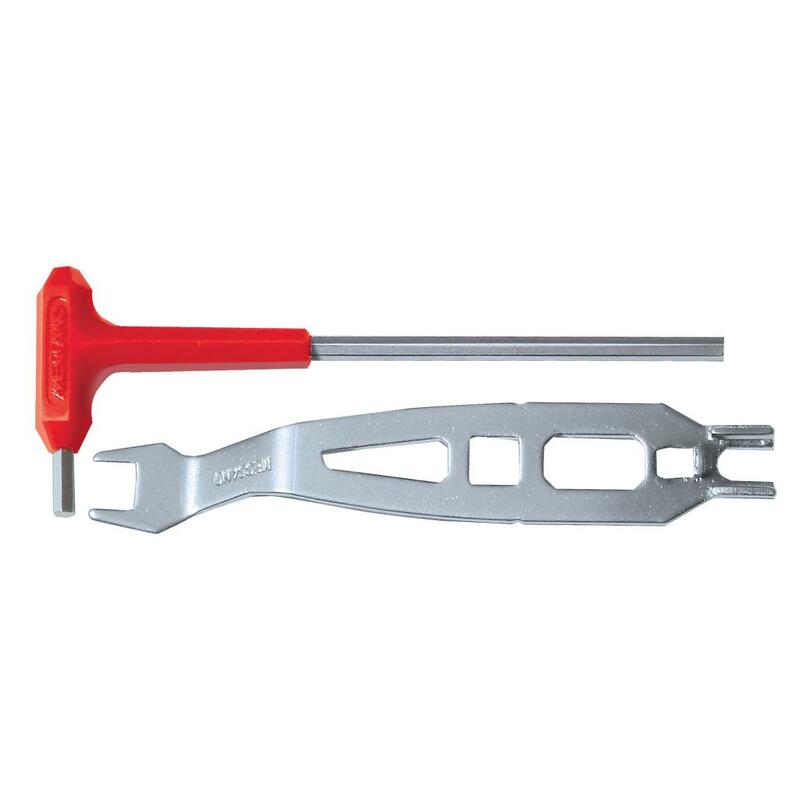 This 5-in-1 model set comes with 174 parts, 2 ergonomic tools and easy-to-follow instructions. 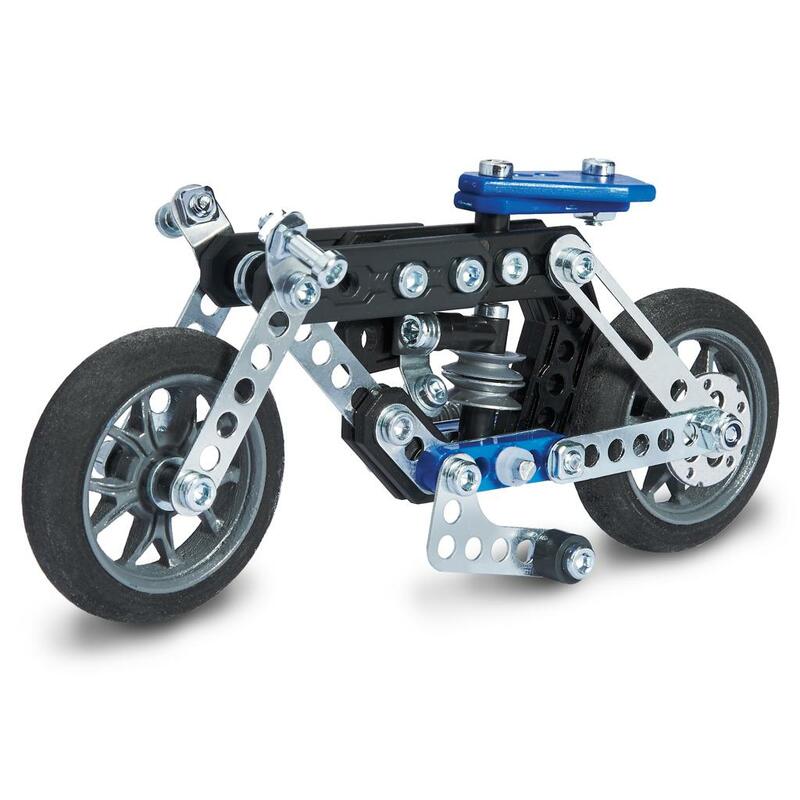 Explore the mechanical wonders of the world with the 5-in-1 Model Motorcycles Set. The 5-in-1 Model Motorcycles Set comes with 174 durable metal and plastic parts, plus real tools and instructions. Follow the instructions to build 1 of 5 motorcycles, then take it apart and build a design of your own.